Clove stem essential oil (1 ml) + Bay Laurel essential oil (organic) (1 ml) + Lavender essential oil (1 ml) + Tea-tree essential oil (1 ml) + St John’s Wort Oil (5 ml) . Prepare a mixture using these ingredients. Apply to affected area 4 to 5 times a day until improvement. Indications :Oral infections (gingivitis, abcess, canker sore, labial herpes...), tonsillitis. Viral or bacterial infections, viral hepatitis, viral and/or spasmodic enterocolitis, bacterial colitis, cholera, amebic dysentery. Cystitis salpingitis, metritis. Viral neuritis, neuralgia. Shingles, multiple sclerosis, polio, parasitic dermal infections (pediculosis, aožtats), mycosis.Bruise, scabies, acne, infected wounds. Sinusitis, bronchitis, flu, tuberculosis. Malaria, prickly heat. Physical and intellectuall asthenia, big tiredness, hypotension, difficult childbirth. Thyroid disorder. Muscles and joint pains, reumatoid poliarthritis. Abcès : Clove essential oil + lavender essential oil + tea tree essential oil. One drop of each, apply locally (up to 3 times a day). Amenorrhea : 1 ml ofClove essential oil + 1 ml dorganic rosemary essential oil cineol + 2 ml d'sage essential oil + 2 ml d'marjoram essential oil. 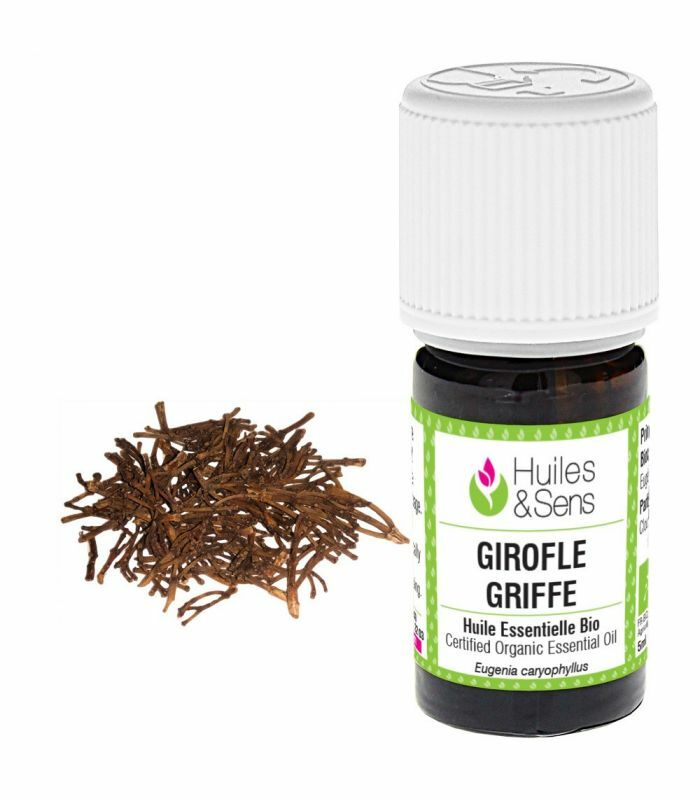 Take 2 drops of this blend in the morning, midday and evening (diluted in a tablespoon of honey, vegetable oil or Solub-HE) 5 days before the scheduled date of the beginning of the period. 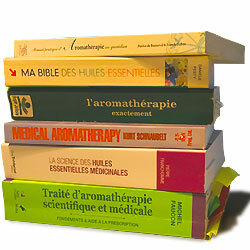 Aphta : 3 ml ofClove essential oil + 6 ml ofbay laurel essential oil + 2 ml oftea tree essential oil + 100 ml of huile végétale. Apply 2 drops of this lotion on aphta up to 5 times a day. Mouthwash: In a bottle of 250ml, put 1 drop of clove essential oil + 1 drop of cinnamon bark essential oil + 1 drop of peppermint essential oil. Shake the bottle before use, rinse your mouth with a little bit of this blend 2 times per day. Cirrhosis : Clove essential oil + ledum essential oil+ peppermint essential oil + thyme thujanol essential oil. 1 ml of each - mix in a bottle. Take 1 drop of this blend (dilute before) 3 times per day before meal during 3 weeks. General tiredness : Clove essential oil + basil essential oil + cinnamon essential oil + sage essential oil + peppermint essential oil + thyme thymol essential oil. 1 ml of each. Take 1 drop of this blend (dilute before) 2 times per day during 4 weeks. Hypothyroidism : Clove essential oil + myrtle essential oil. Mix 2 ml of each in a bottle. Take 2 drops of this blend (dilute before) 3 times per day before meal. Impetigo : Clove essential oil + geranium rosat. Mix 1 drop of each and apply directly on concerned zone, up to 3 times per day. Clove essential oil can be replaced by tea tree. Sore throat : Clove essential oil + oregano essential oil + tea tree essential oil + thyme thujanol essential oil. Mix 5 ml of each in a bottle. Take 2 drops (dilute before) 3 times per day during 1 week. Mosquito (repellent) : 4 ml ofClove essential oil + 10 ml ofgeranium essential oil + 10 ml oflemongrass essential oil + 6 ml oforganic rosewood essential oil+ 100 ml of vegetable oil and especially Neem vegetable oil.